Length: 4 hrs. 26 min. Why is the contented, satisfied life so evasive? What deep hungers drive these purchasing habits? A series of lifestyle adjustments are essential as hours are slashed at work and year-end bonuses evaporate. Recreational vehicles are sold, vacations are simplified or canceled, and a home renovation is put on hold. In the midst of cutting back and cutting down there lies the critical question: Will a spirit of resentful complaint invade the heart or can deep, inner joy prevail as plans are unabridged and expectations modified? Is it possible to live a deeply satisfied life as possessions and opportunities slip away? Followers of the Christ, living in the first century Greco-Roman world, also wrestled with issues related to material longings. For Christians living in Ephesus, Philippi, and Laodicea, the propensity to find their identity through accumulation was alive and well. These powerful longings are addressed in numerous places in the storyline of scripture – a storyline that points us toward financial sanity through Christ’s sufficiency. 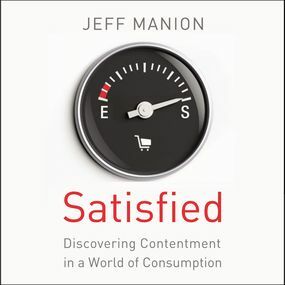 The School of Contentment will draw deeply from seven passages of scripture exploring the way in which these messages were received by the original readers, and the way these passages can transform the way we view wealth, accumulation, and contentment.